Are you still looking for that perfect handmade gift? With Christmas right around the corner, you need a DIY that’s fast and easy but still looks fabulous. 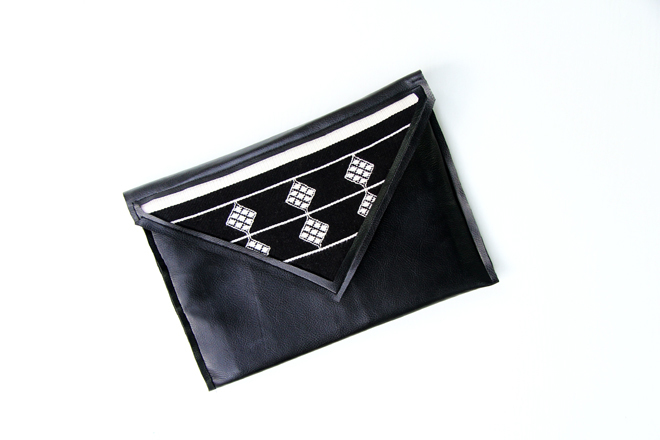 This black faux leather clutch fits the bill. 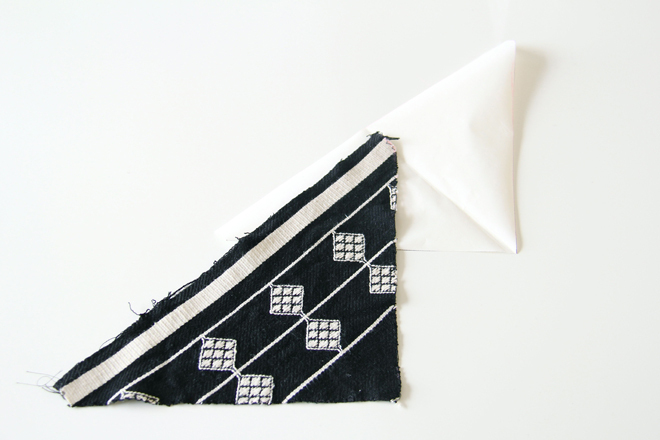 It costs less than $5 to make and can be sewn in under an hour – the perfect afternoon sewing project! I’ve even added a cutout to the clutch to display your favorite fabric. I used some fabric left over from my up-cycled backpack project to make my clutch a one of a kind gift. 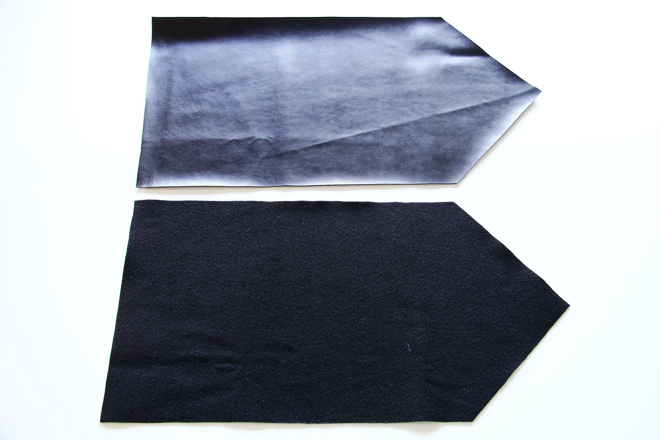 1] Cut 1 piece of costume pleather and 1 piece of black felt according to the measurements below. 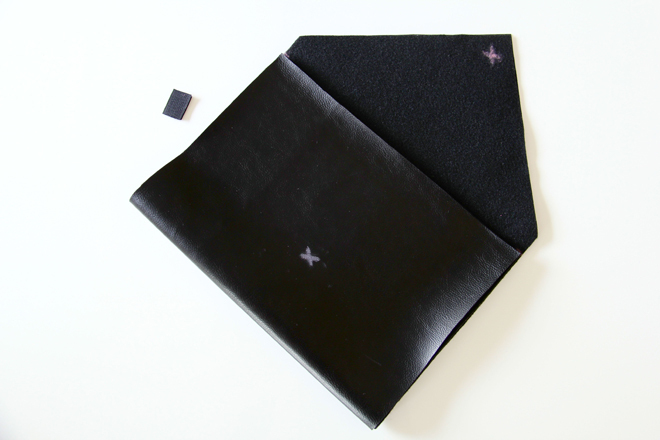 2] Lay the felt on top of the pleather (wrong sides together), and fold it to form the clutch. 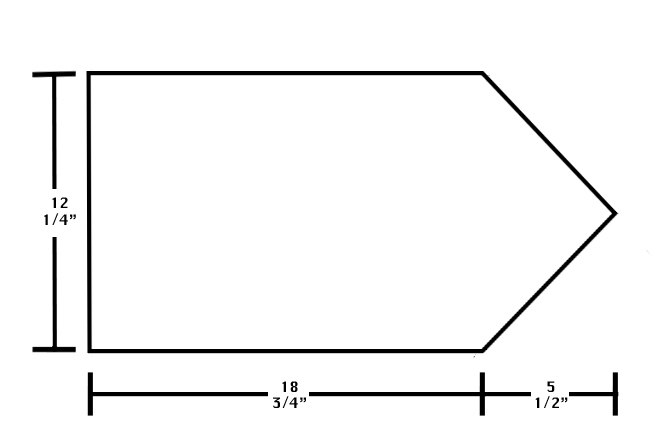 Use chalk to mark points where Velcro will be attached. 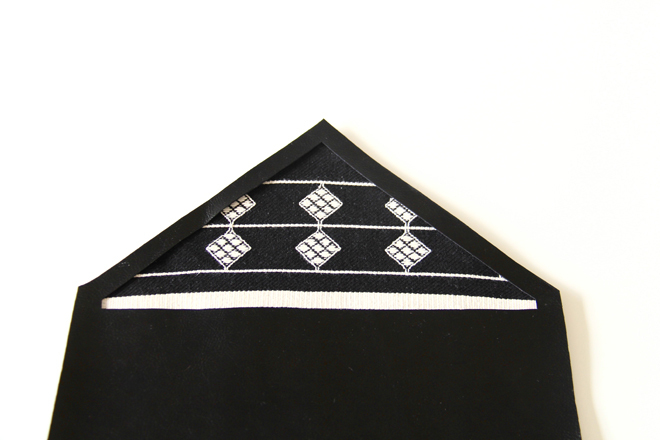 3] Separate felt and faux leather and sew Velcro to these points. 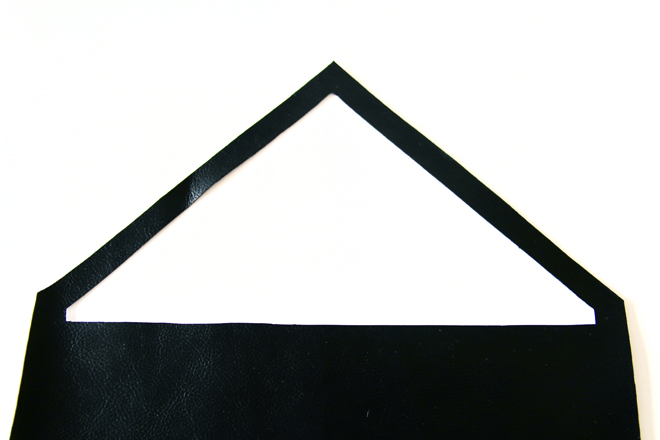 4] Cut a triangular opening in the faux leather flap of the clutch, leaving a ½” edge on all sides. 5] Cut a piece of contrasting fabric and fusible webbing to the size of the flap of the clutch. 6] Sandwich the fusible webbing between the wrong side of the contrasting fabric and the wrong side of the felt. Fuse fabrics according to manufacturer’s instructions. 7] Line up the faux leather and felt and sew around the cutout. 8] Cut a piece of cardboard/plastic 11” x 8”. 9] Insert the cardboard/plastic between the faux leather and felt, positioning it in the front of the clutch. 10] Sew the front top edge of the clutch. 11] Fold fabric to form the clutch. 12] Sew side seams and you’re done! Take it out for a spin at your next Holiday party or gift it to someone special. Please feel free to leave any questions/comments below. If you enjoyed this tutorial please share the love by liking The Felted Fox on Facebook. Also, don’t forget to follow The Felted Fox on Bloglovin to receive free tutorials and patterns to your inbox.